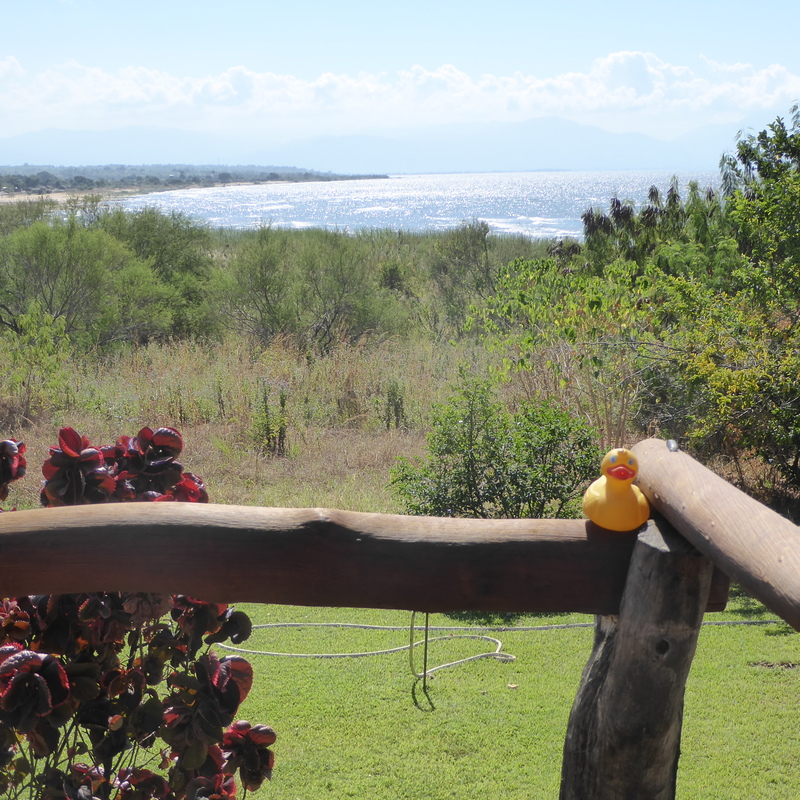 Zeb the Duck Visits a Fishing Village then Lunch at Ngala Beach Resort. 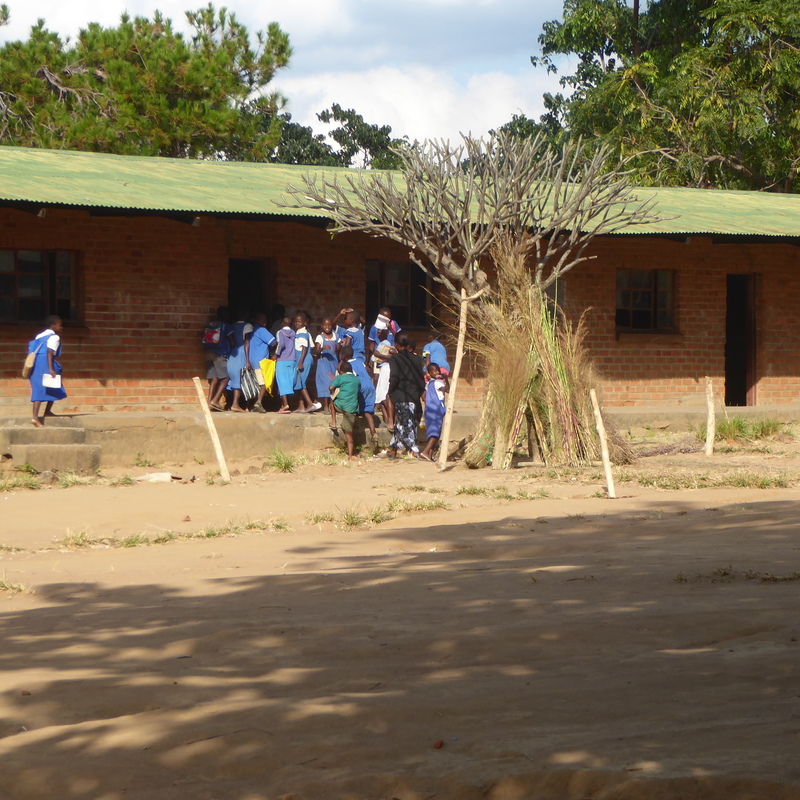 Ripple Africa is working with the local tribal chiefs and the local fisherman on Lake Malawi. People were given mosquito nets to reduce mosquito bites which can prevent malaria. The nets were given with good intentions, but now there is a problem. The fisherman, trying to support their families, need to catch as many fish as possible. Unfortunately they have been using mosquito nets as fish nets. This results in very small fish being caught. If the small fish are taken from the lake, there will be a shortage of fish very soon. 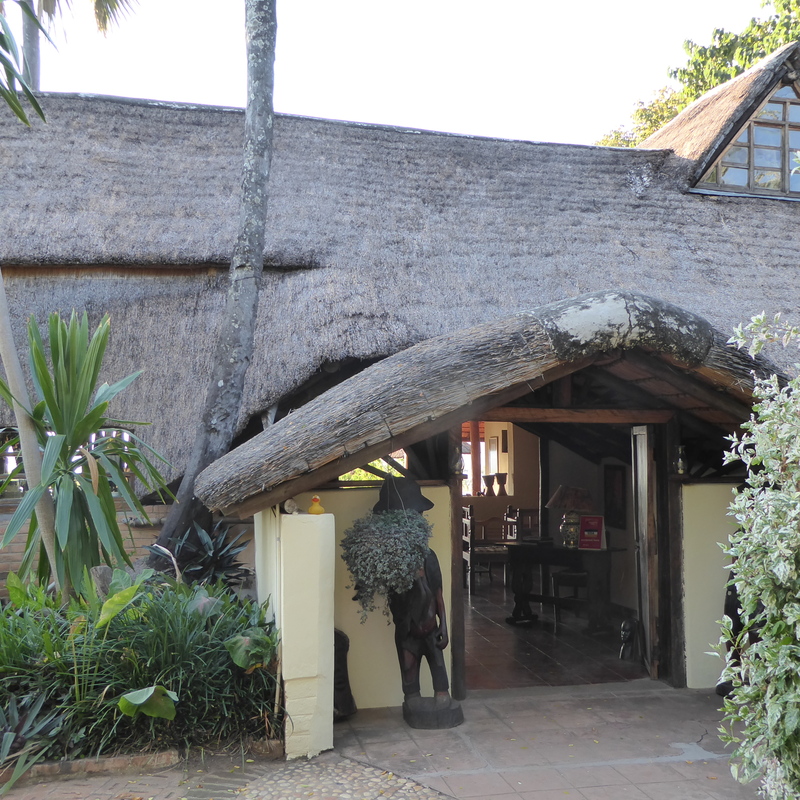 Ripple Africa is trying to persuade the chiefs and fisherman to not use mosquito nets for fishing. This will cause a reduction in income now and for a few years, but then an increase in fish, and an increase in income. Many people understand and agree with this, but there are still a few that are worried about a reduction in current income. We were invited to a meeting with the tribal chiefs about this problem. The meeting was held near this school. The children are so curious about the volunteer women. I love the bright colored uniforms. After the meeting, we visited a fishing village. 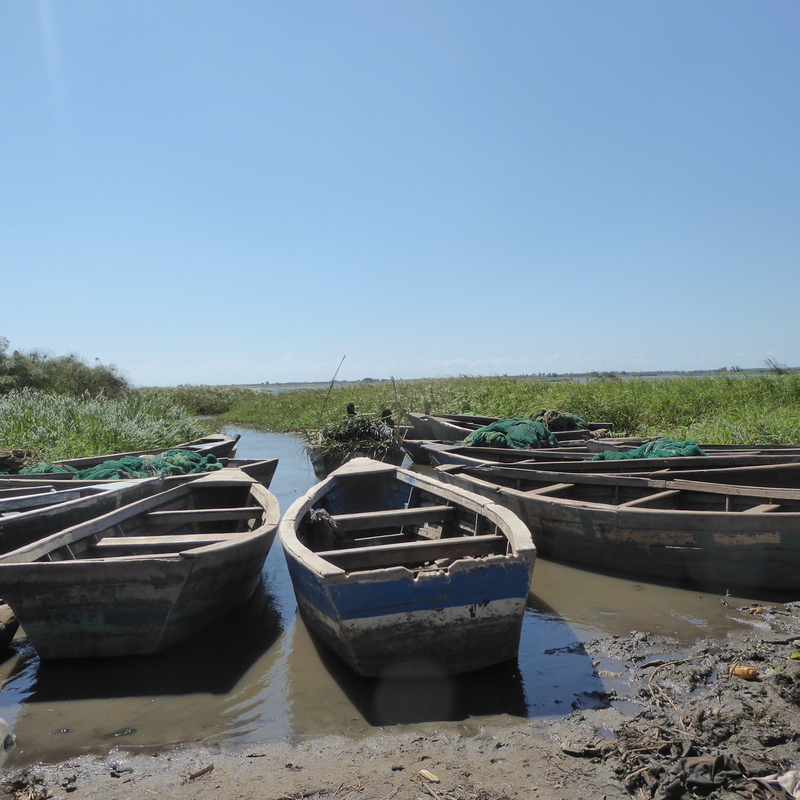 These are the fishing boats used on Lake Malawi. You will notice the nets in the boats on the right and on the left. There was no decision that day; this will take time for all to agree. 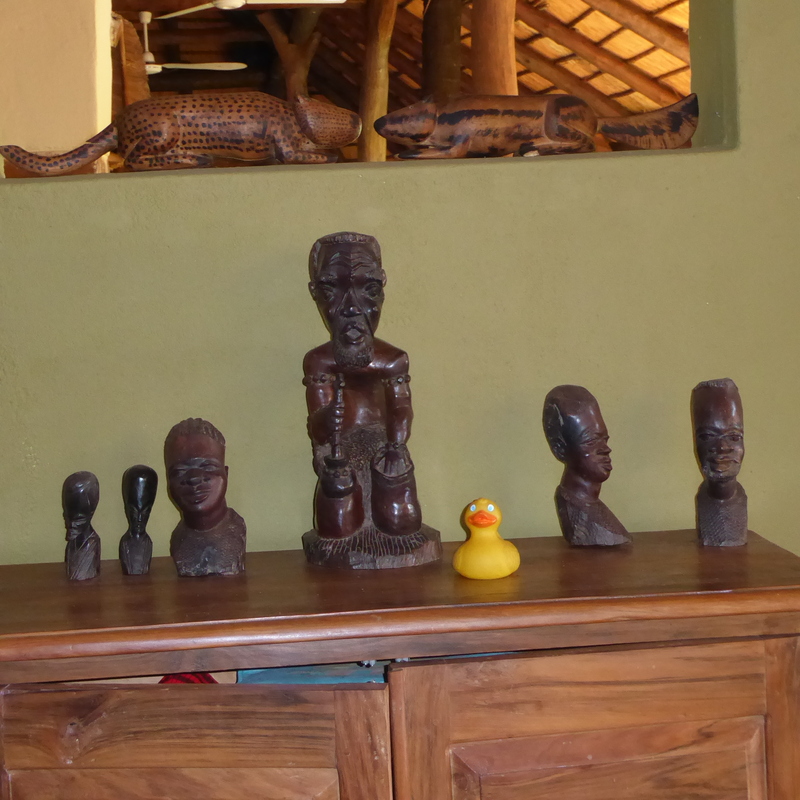 After the fishing village, the volunteer women, and I, Zeb the Duck,had a wonderful lunch here, at Ngala Beach Lodge on Lake Malawi. 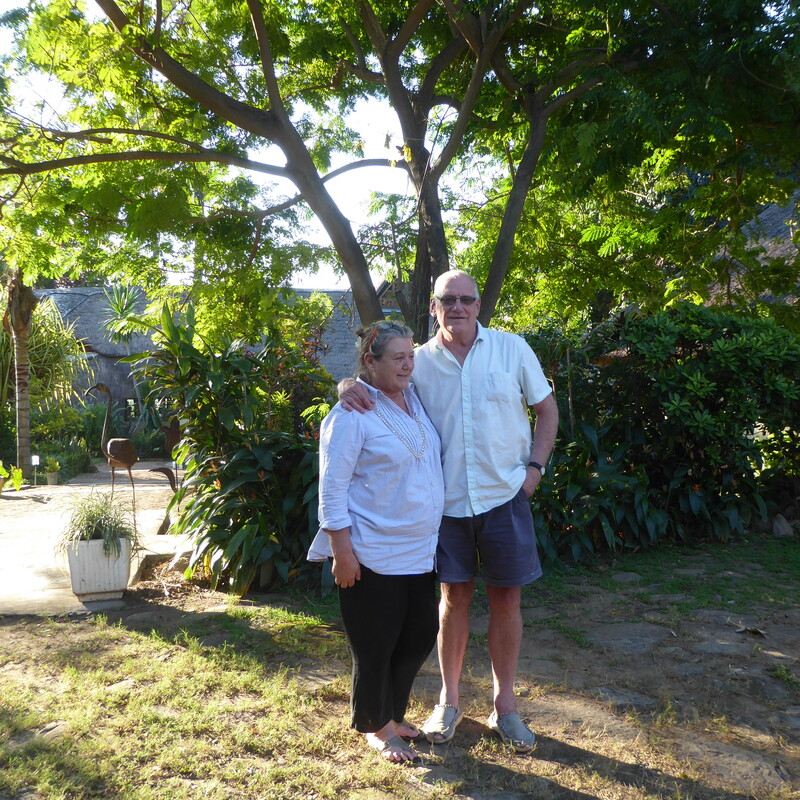 Chris and Sandi, the owners of the Ngala Beach Lodge really made us feel welcome. Well humans, let’s go inside. 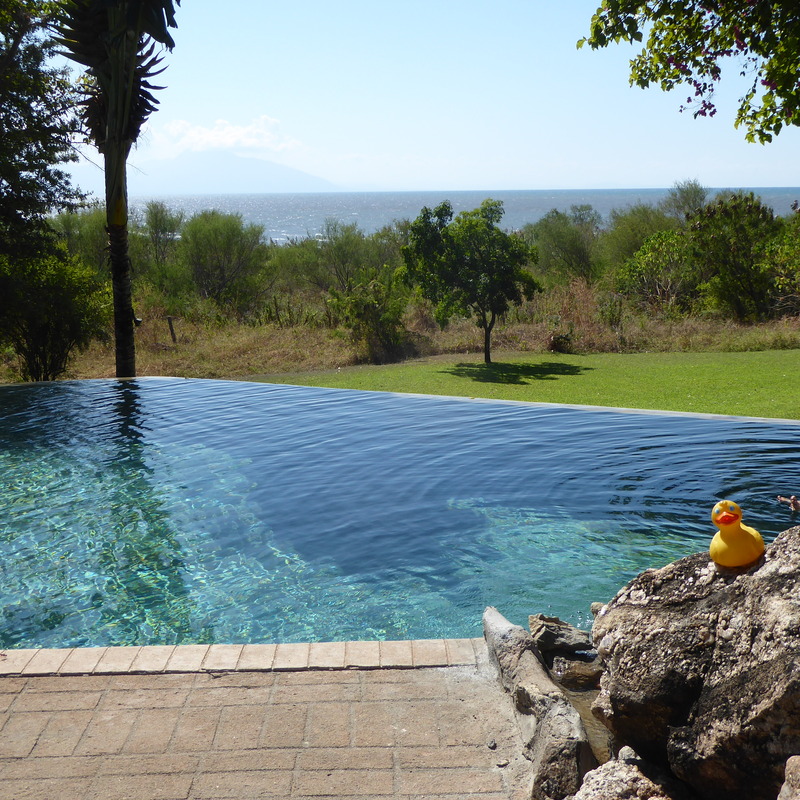 Lake Malawi from the deck the lodge is gorgeous. These bright flowers are so tropical. I could stay here and feel like I was in paradise. An extra bonus. We always appreciate a great swimming pool. This is a wonderful place for me. 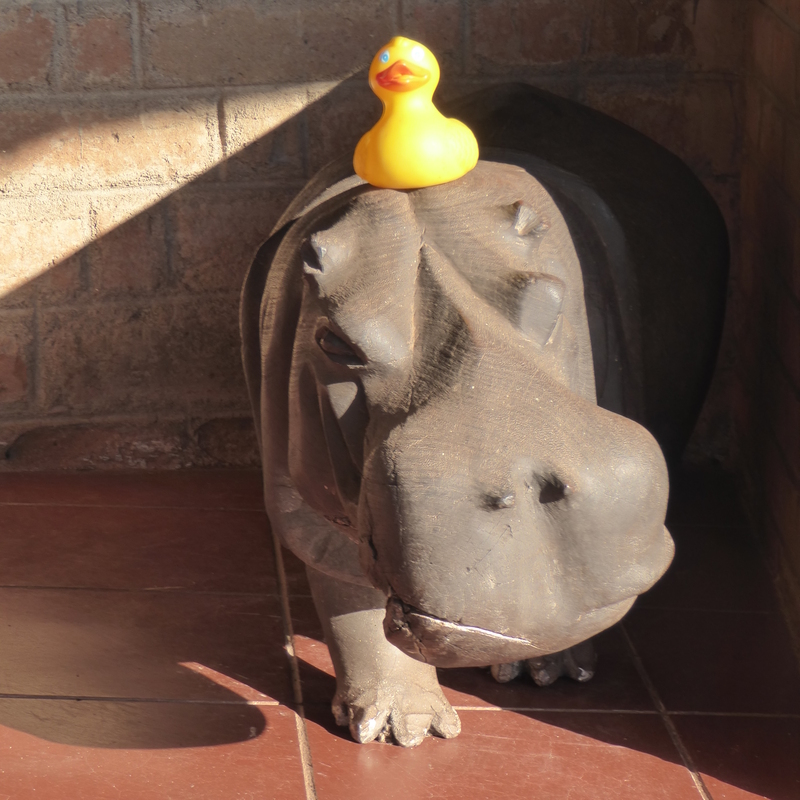 This hippo is my new friend. And look. Giraffe with long neck. I am sitting on a turtle table. His shell is comfortable. Everyone loves a giraffe. These wooden carvings are fantastic. 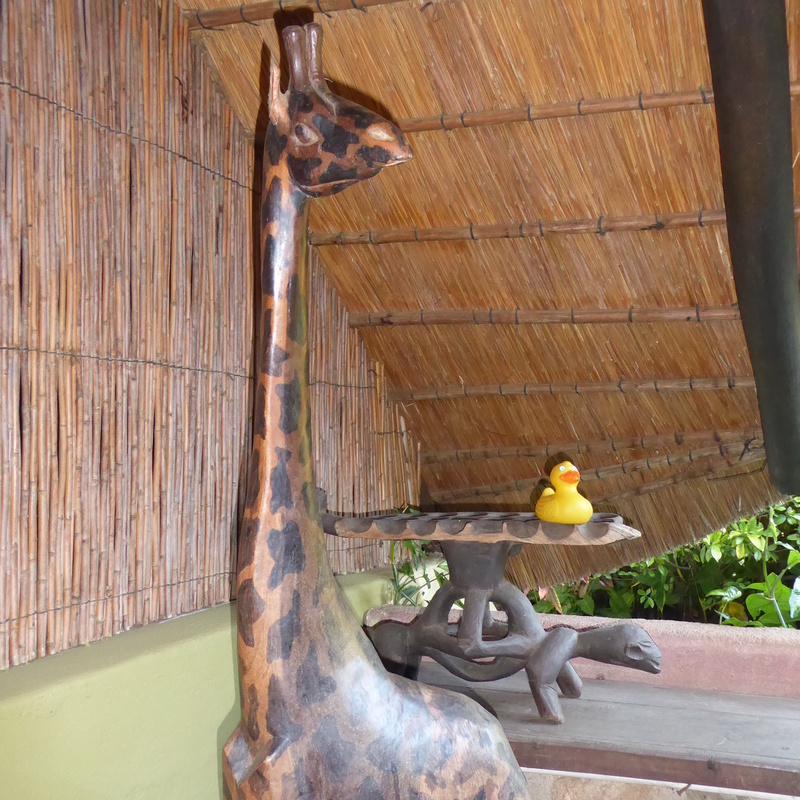 With all these animal statues, we must be in Africa. 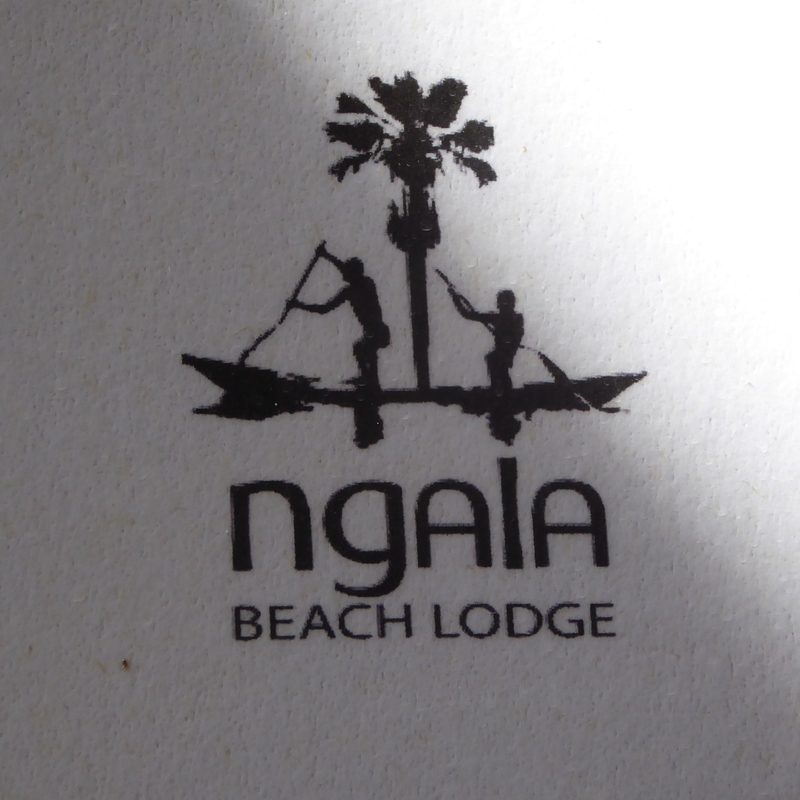 For more information about this resort, visit http://www.NgalaBeach.com This is a really great day in Malawi. 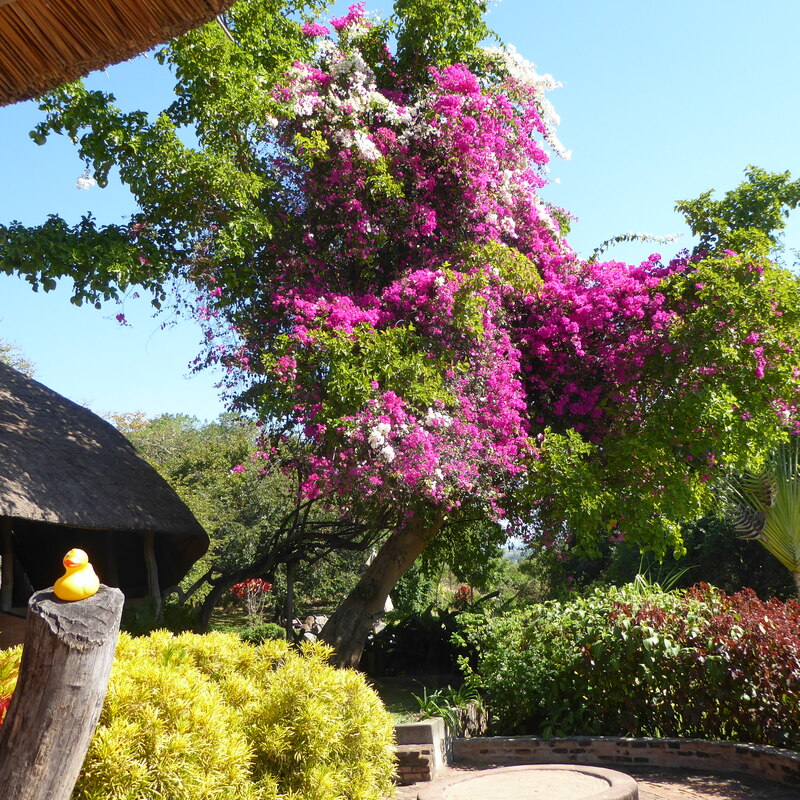 This entry was posted in Africa, Malawi, Uncategorized and tagged Africa, Colorado Traveling Ducks, fisherman, Lake Malawi, Malawi, mosquito nets, Ngala Beach Resort. Bookmark the permalink.